Is Tornier N.V. (NASDAQ:TRNX) ready to raly soon? The smart money is taking a pessimistic view. The number of bullish hedge fund positions fell by 1 in recent months. In the financial world, there are dozens of methods shareholders can use to analyze their holdings. Two of the most innovative are hedge fund and insider trading sentiment. At Insider Monkey, our studies have shown that, historically, those who follow the best picks of the elite hedge fund managers can beat their index-focused peers by a very impressive margin (see just how much). Just as important, bullish insider trading sentiment is another way to break down the financial markets. As the old adage goes: there are lots of incentives for a corporate insider to sell shares of his or her company, but just one, very simple reason why they would initiate a purchase. Several empirical studies have demonstrated the market-beating potential of this tactic if piggybackers know where to look (learn more here). Now, let’s take a look at the latest action encompassing Tornier N.V. (NASDAQ:TRNX). What have hedge funds been doing with Tornier N.V. (NASDAQ:TRNX)? Heading into 2013, a total of 6 of the hedge funds we track held long positions in this stock, a change of -14% from one quarter earlier. With hedge funds’ sentiment swirling, there exists a select group of key hedge fund managers who were upping their holdings meaningfully. According to our comprehensive database, Deerfield Management, managed by James E. Flynn, holds the most valuable position in Tornier N.V. (NASDAQ:TRNX). Deerfield Management has a $11.8 million position in the stock, comprising 0.6% of its 13F portfolio. Sitting at the No. 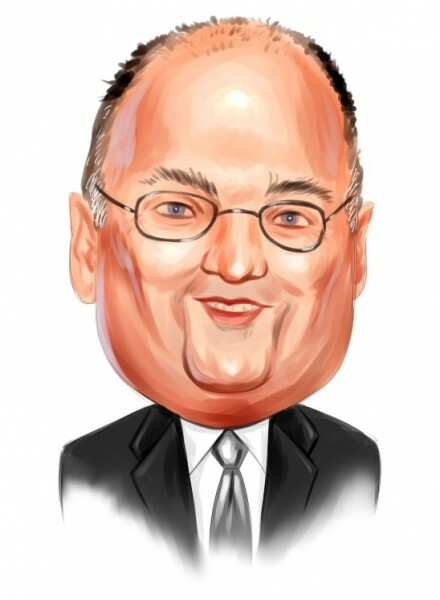 2 spot is Steven Cohen of SAC Capital Advisors, with a $10.9 million position; 0.1% of its 13F portfolio is allocated to the company. Other hedge funds that hold long positions include SAC Subsidiary’s CR Intrinsic Investors, Israel Englander’s Millennium Management and Jacob Gottlieb’s Visium Asset Management. Since Tornier N.V. (NASDAQ:TRNX) has witnessed declining sentiment from the aggregate hedge fund industry, it’s easy to see that there is a sect of funds who sold off their positions entirely in Q4. It’s worth mentioning that Phill Gross and Robert Atchinson’s Adage Capital Management cut the biggest investment of the “upper crust” of funds we key on, comprising about $4.5 million in stock., and Richard Schimel of Diamondback Capital was right behind this move, as the fund said goodbye to about $3.2 million worth. These moves are important to note, as aggregate hedge fund interest fell by 1 funds in Q4. Insider purchases made by high-level executives is particularly usable when the company we’re looking at has seen transactions within the past 180 days. Over the latest 180-day time frame, Tornier N.V. (NASDAQ:TRNX) has seen 1 unique insiders buying, and 1 insider sales (see the details of insider trades here). Let’s check out hedge fund and insider activity in other stocks similar to Tornier N.V. (NASDAQ:TRNX). These stocks are Endologix, Inc. (NASDAQ:ELGX), Luminex Corporation (NASDAQ:LMNX), ICU Medical, Incorporated (NASDAQ:ICUI), Cantel Medical Corp. (NYSE:CMN), and Conceptus, Inc. (NASDAQ:CPTS). This group of stocks are in the medical instruments & supplies industry and their market caps are similar to TRNX’s market cap. Here is What Hedge Funds Think About FXCM Inc (FXCM) Hedge Funds Are Selling The First Marblehead Corporation (FMD) Gamco Investors Inc. (GBL): Insiders Are Buying, Should You? Arlington Asset Investment Corp (AI): Are Hedge Funds Right About This Stock... Hedge Funds Are Dumping Greenhill & Co., Inc. (GHL) Is Safeguard Scientifics, Inc (SFE) Going to Burn These Hedge Funds?